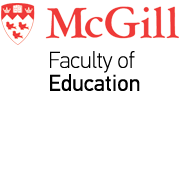 While Spring 2018 Convocation will be a week-long celebration of McGill’s graduating students it will also see honorary degrees conferred upon 14 inspiring individuals. Giants in their respective fields, this year’s Hon Docs have blazed trails in everything from healthcare and human rights to Photonics and philanthropy. Although some on this list have never stood in front of a classroom, all are teachers. Their respective lives and careers stand as lessons in commitment, ingenuity, public service and the ability to see possibilities where others see obstacles. Tuesday, June 5th, at the Education Convocation ceremony, Dr. Peter Salovey will receive a Doctor of Science, honoris causa, from the Faculty of Education. A social psychologist and celebrated scholar, Dr. Peter Salovey is the 23rd President of Yale University and the Chris Argyris Professor of Psychology. He also holds secondary faculty appointments at Yale in the Schools of Management and Public Health, the Institution for Social and Policy Studies, and the Sociology Department. For more than three decades, Dr. Salovey has combined excellence in scholarship with a commitment to outstanding university leadership. An innovative and prolific scientist, he has authored or edited more than a dozen books, which have been translated into eleven languages, and published hundreds of journal articles and essays focusing on human emotions and health behaviours. Along with John Mayer and others, he transformed our understanding of emotions and the human psyche by pioneering and developing the broad framework of “emotional intelligence.” This theory refers to how people understand their own emotions and what they do with them. The concept has crossed over from academic circles into the popular arena where it can be seen on best-seller lists and heard on daytime radio shows. Dr. Salovey is the founder and former director of the Health, Emotion and Behavior Laboratory, which has now become the Yale Center for Emotional Intelligence. The Center conducts research on the psychological significance and function of human moods and emotions. At Yale University, he has dedicated himself to mentoring and assisting in the career development of young faculty members, as well as fostering diversity in the university, promoting academic integrity, and legislating against sexual misconduct. He has overseen the expansion of Yale’s undergraduate student body and the development of new academic priorities emphasizing science for the coming decades. In addition to teaching and mentoring scores of graduate students, Dr. Salovey has won two of Yale’s most prestigious teaching awards: the William Clyde DeVane Medal for Distinguished Scholarship and Teaching in Yale College and the Lex Hixon ’63 Prize for Teaching Excellence in the Social Sciences.